First: Know what car you are going to be driving! You will get a different price depending on the car! Second: Go to the car insurance websites and try to get a free quote. Compare the quotes that you get to see what is the best deal. Use the minimum “limits” that they provide. DO NOT GIVE THEM CORRECT PERSONAL INFORMATION. Third: Look at their commercials. What are the companies offering you? What companies have offers that will actually save you money and give you better “coverage”? (Coverage means how well they will protect you). Fourth: Read the costumer reviews. If they are getting a lot of negative feedback, then that should influence your decision as to whether or not to use them. Fifth: Read the news articles and make sure that the company is doing what you believe is right. If the news article says that the CEO of the company kills kittens for sport, then you might not want to give him your money. Keep track of your information on a word document so you can use it when you are writing your essay. Be smart about your choices … this is a useful tool and it won’t be too long before you are driving and will need this! Getting Car Insurance with Convictions: Do I need to worry about other types of convictions? While a DUI is very serious, it isn’t the worst conviction that you could get while driving, such as causing an accident that kills someone. If you are convicted of negligence, it could lead to a manslaughter conviction and actual jail time. The exception to this is if you have a long history of convictions on your driving record. Basically, if you have a lot of spending tickets, then the insurance company is going to increase your risk value. 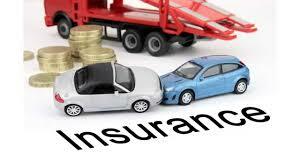 In other words, insuring you is riskier because you are a careless driver and as such you rates will increase. While there are classes that you can take to reduce the amount of points you accrue on your license, every state has their limit of how many classes you can take. In addition, these classes cost money, sometimes as much as $100.